The Tectal Race is a well-ventilated helmet that has been specifically developed for aggressive trail riding and enduro racing. It incorporates the aramid bridge system from several of POC’s proven and award-winning helmet range. 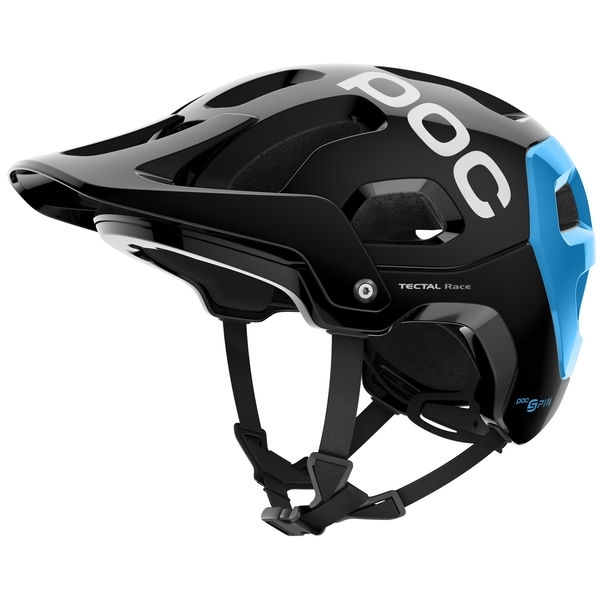 To perfectly suit the needs of Enduro mountain biking and racing the Tectal Race SPIN has added robustness and protection and features POC’s patent pending rotational impact protection system, SPIN, which is designed to reduce the effects of an oblique fall by reducing the amount of force transmitted to the head and brain. By using the innovative and unique pad technology, which sit directly against the user’s head and can shear in any direction during an oblique impact, SPIN pads allow the helmet to move relative to the head during a fall, reducing the force transmitted to the brain. 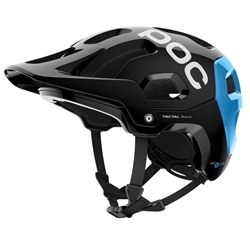 The reinforced EPS liner provides a high level of protection and the unibody shell construction, introduced in POC’s ground breaking Octal road cycling helmet, further enhances the safety properties and construction integrity of the helmet while maintaining a low weight. 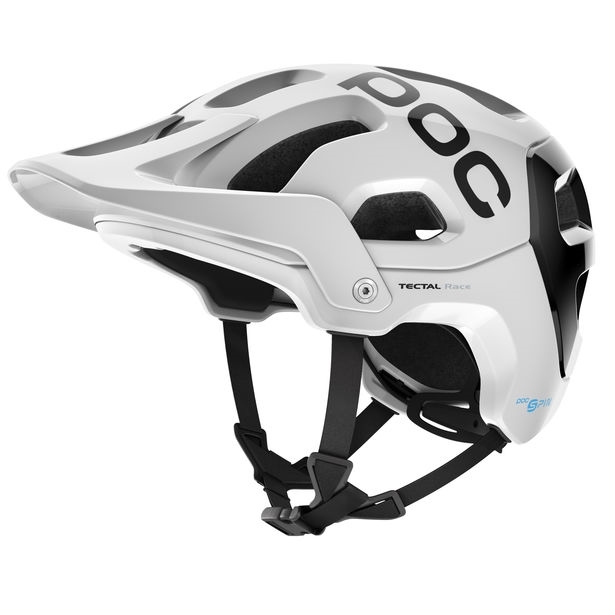 Tectal Race SPIN offers more coverage than conventional mountain bike helmets and has a highly efficient ventilation design, optimized and evaluated through wind tunnel testing. Also featuring a goggle clip and a lightweight size adjustment system that ensures a comfortable and secure fit.